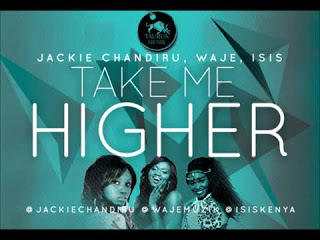 This video which features Waje (Nigeria), Isis (Kenya) & Jackie Chandiru (Uganda) tilted, “Take Me Higher” is finally here. The ladies did a great job on this song, this is a very universal and lovable song. Its been on replay since i got this. You all have got to listen and download this incredible single. This is a great and the video is out and you can get it below. Watch and enjoy. Share your thoughts too.